The GOOD NEWS is Petland and their lobbyist have conceded their attempt to slip a sneaky amendment into a totally unrelated bill (HB 166) under the noses of disapproving Ohioans. That amendment (had it passed) would have allowed pet stores statewide to sell puppy mill dogs anywhere in Ohio (circumventing the laws Grove City and Toledo recently enacted with unprecedented public support). 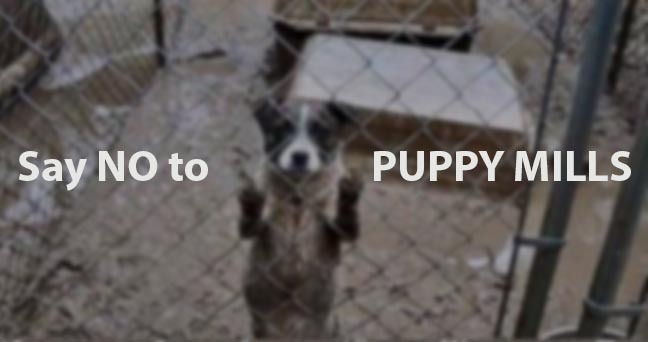 Ohioans have made it clear that WE DON’T WANT TO SUPPORT PUPPY MILLS! The BAD NEWS is that two bills were just introduced in both the house (HB 573) AND the senate (SB 331) in order to essentially accomplish the same thing. Both bills are expected to be “fast-tracked” and assigned to committees and voted on as quickly as possible. Which means Petland and their lobbyist are going to try to DUPE more elected officials (who aren’t educated on puppy mills) to simply vote yes on these bills before we, THE PEOPLE can voice our opinions and convince them otherwise. WE MUST NOT ALLOW THAT! By the way, how sad (and telling) it is that no bills are “fast-tracked” to help those who are hungry, homeless or ill (whether people or animals). These efforts are all so Petland can keep selling puppy mill dogs at huge mark-ups to unsuspecting customers. These efforts are also designed to allow our state government to take away the rights of our city government (a violation of Ohio’s home rule). WE NEED YOUR VOICE TO DEFEAT THESE SHAMEFUL EFFORTS ONCE AND FOR ALL! Click the link below (in the comments section) to find your legislator so you can call and email them with your respectful convictions on the matter. BE SURE TO TELL THEM YOU’LL REMEMBER HOW THEY VOTE ON THIS ISSUE COME ELECTION TIME. *Please share far and wide. We need your help friends and fellow advocates!